Joseph Dougall, a seventh generation family member of a company that makes traditional Maltese cheroot cigars, tells Simonne Pace how he took over the business at a young age, his strong connections with Africa and his passion for the art of cultivating tobacco. If you’ve always seen the tobacco industry as a closed and male domain, then think again. The industry has always been dominated by women, says Joseph Dougall, who runs Dougall Tobacco, a factory in Tarxien that manufactures Maltese cigars from tobacco grown in Sierra Leone. Dougall inherited the factory – a business that has been running in the family for seven generations – from his great-grandfather Carmel Sciberras, who had set up the company in the 1850s. 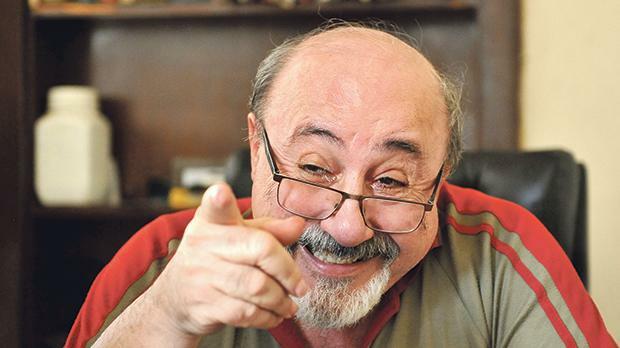 “My great-grandfather started selling chewing and pipe tobacco from a tray outside the dockyard,” says Dougall, 67, who also serves as honorary consul for Sierra Leone in Malta. At the time, when ships entered port, they docked with riches on board – but once they left, Malta would slump back into poverty. In a bid to encourage domestic production, the colonial office brought over Swiss Italians to teach the Maltese the art of making cigars by hand. As the trade grew, the tobacco industry continued to flourish, seeing about 1,500 people in employment in Malta at the time and targeting not only the local market but also North Africa and southern Europe. Sciberras employed a good number of people who worked long hours, six days a week. These were mostly women who took their babies along with them to the workplace. “Women were dexterous and patient, two qualities my great-grandfather looked out for,” says Dougall. His grandmother, the eldest of the Sciberras children, was the one who kept the factory running. Dougall Tobacco kept going strong, through both world wars. It started off in Senglea, moved to Cospicua, then to Żebbuġ, Tarxien, close to Paola, and back to Tarxien again, from where it still operates today. “Cultivating tobacco is an art,” says Dougall, who has been in the business for almost 50 years and travelled all over Africa, gaining experience and learning tricks of the trade. Having studied agronomy and grown tobacco in Sierra Leone and in various other parts of Africa, Dougall reminisces about the day he took American seeds and planted them in Sierra Leone for the first time. “I was ecstatic. We chose areas where the land was still virgin, so our tobacco is grown in the most natural way, without fertilisers and chemicals. My tobacco has a speciality: it is smoked, like smoked fish or smoked meat. 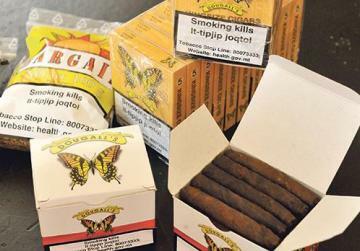 We cure it with fire,” he explains as he holds stacks of boxes filled with the traditional Maltese cheroot cigars with a butterfly emblem, since they are known as ‘Tal-Farfett’. Just like Maltese farmers are contracted to grow potatoes for the Dutch market, Dougall contracts farmers in Sierra Leone to grow the tobacco he uses to make his cigars. Having exported to Germany, Holland, the UK and Romania in the past, Dougall’s factory now produces just under a million cigars a year. Some are exported and the rest are sold in Malta. His company reached its peak in 1995, when it produced over two million cigars. “Our product is a regional product manufactured locally according to an old Dougall tradition,” says theentrepreneur, who touched Sierra Leone tobacco for the first time during a visit to Hamburg. Since that day, Dougall has visited Africa regularly and built a strong relationship with the farming community in Sierra Leone. “The farmers grow the tobacco for us and we sponsor them by giving them the seeds, fertiliser and food during the growing season. After we get the tobacco, it is graded by seasonal female workers in Sierra Leone leaf by leaf. So even in Sierra Leone, the industry is mostly dominated by women,” he says.